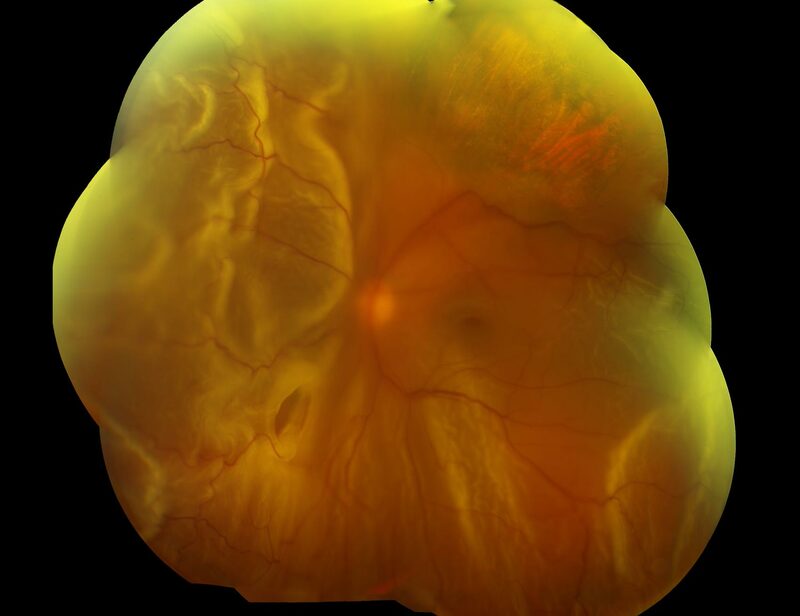 Tears and holes in the retina can lead to retinal detachment. With an opening in the retina, the fluid in the eye (vitreous) can pass through the hole beneath the retina. A retinal detachment occurs when the retina is separated from the back wall of the eye from the fluid beneath it. Most detachments begin in the periphery. A shadow off to the side may be noted but central (reading) vision is initially good. With time, the detachment may progress to involve the macula and central vision will be lost. With early diagnosis and treatment, retinal detachments may be repaired by a gas bubble (pneumatic retinopexy), scleral buckle or vitrectomy surgery and excellent vision may be restored.